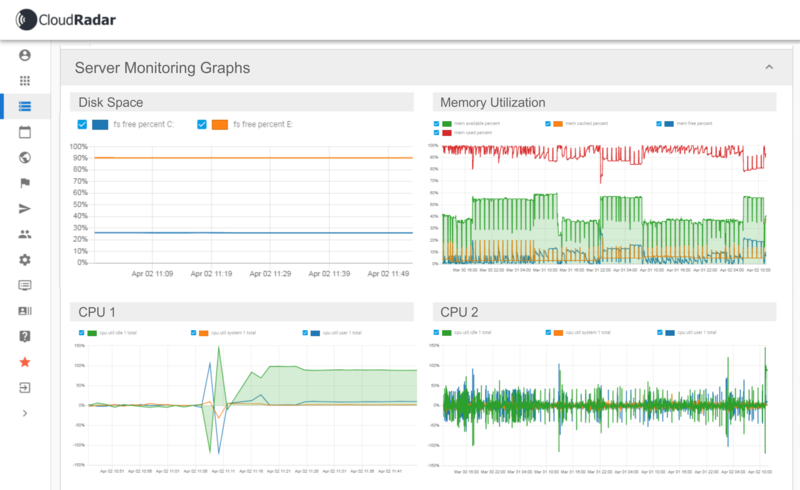 Linux Server Monitoring. Made Radically Simple. 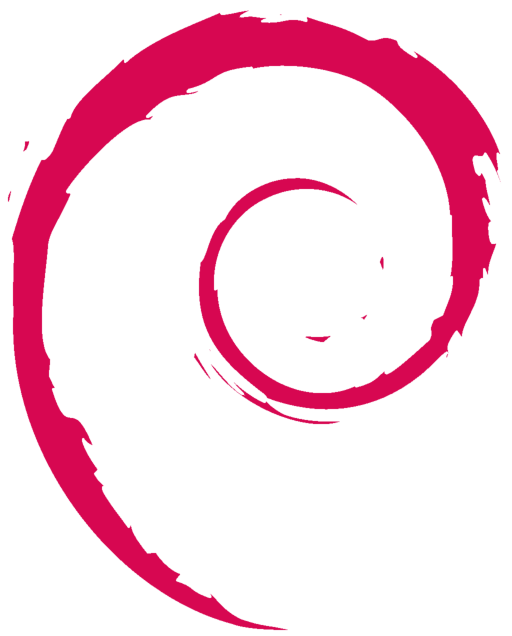 Supports RedHat, CentOS, Debian, Ubuntu and Suse. 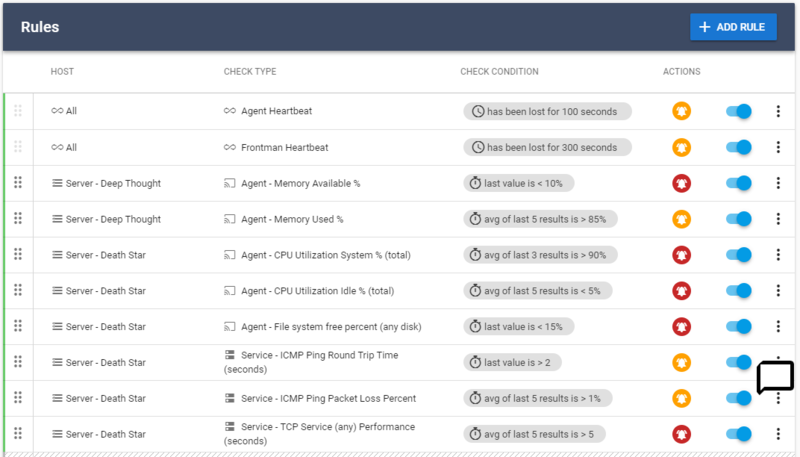 Availability, CPU load, memory utilization, disk space, process run-status and more. 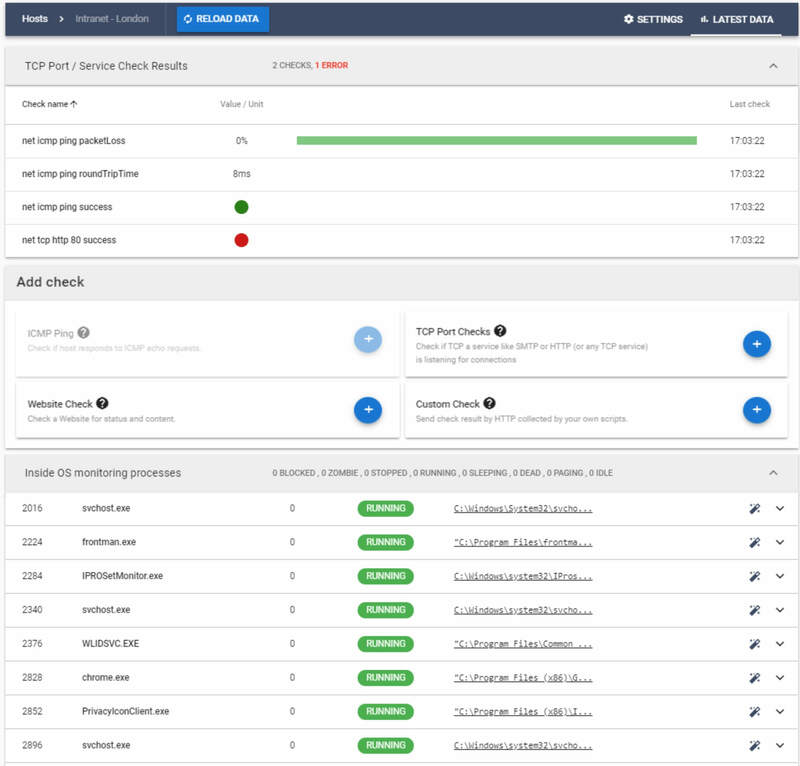 Instant SAAS setup with guided configuration, complete alerting engine and smart alert defaults to start monitoring within minutes. 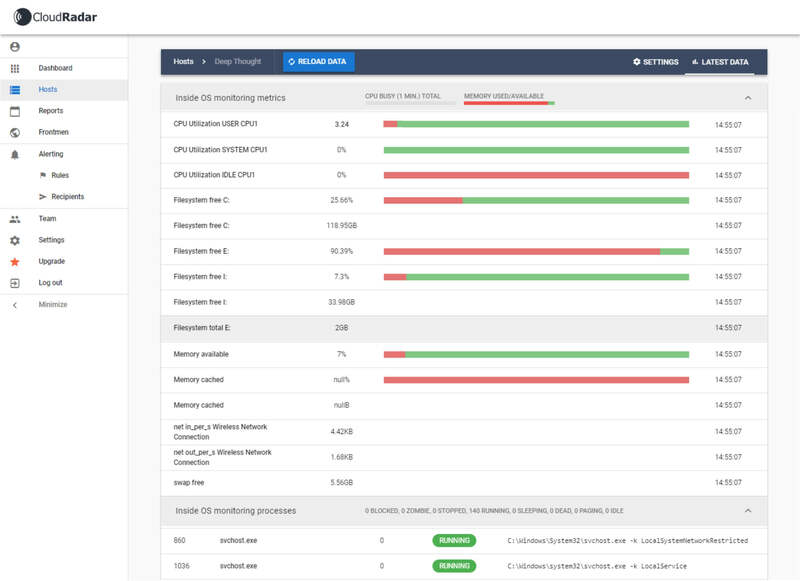 Start with smart defaults: preset rules and alerts for all important metrics. 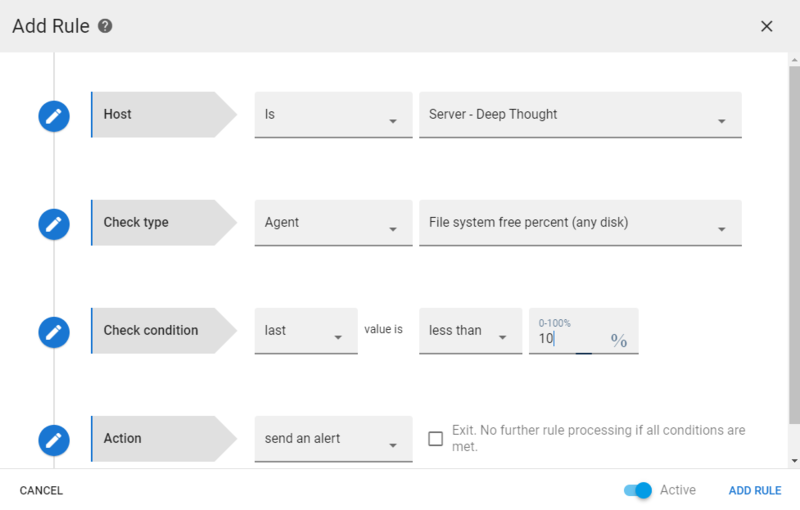 Change thresholds to trigger customized warnings and alerts per server, service or process. Be warned in advance of upcoming issues so you can resolve proactively. Get immediate alerts when any process, service or device stops working. 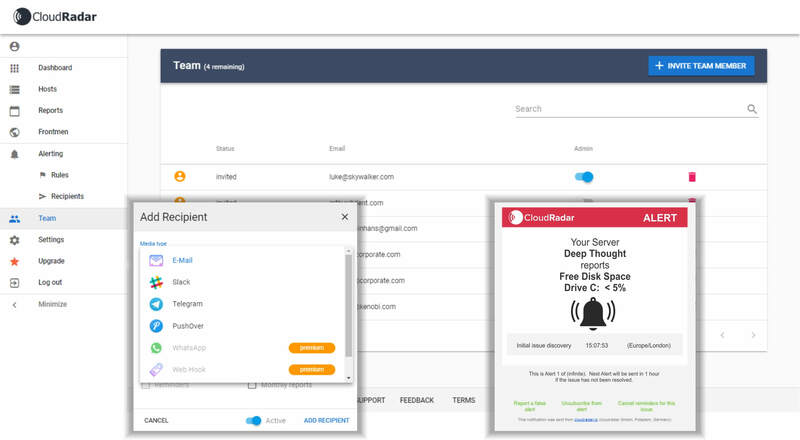 Manage your admin team via individual alerts management. Set up your support team and assign their responsibilities. 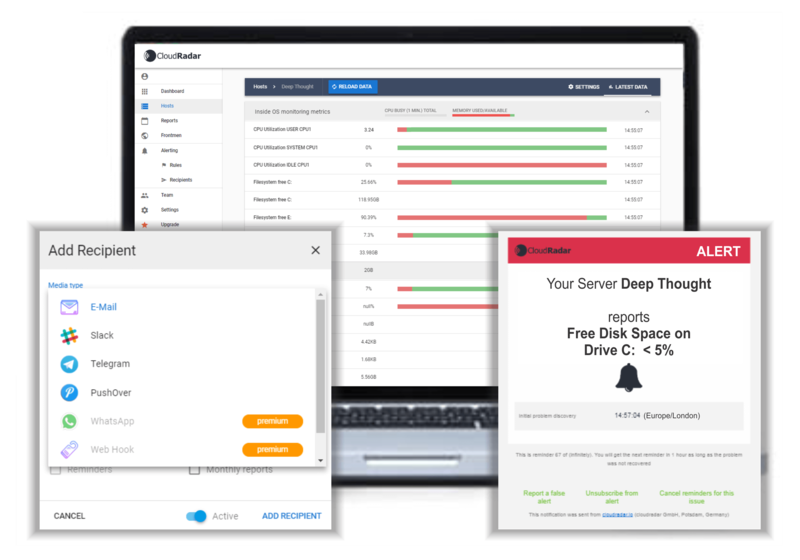 Decide who receives what alerts and your preferred channels: Email, SMS, Slack, Pushover, Telegram, Whatsapp or customize via Webhooks. 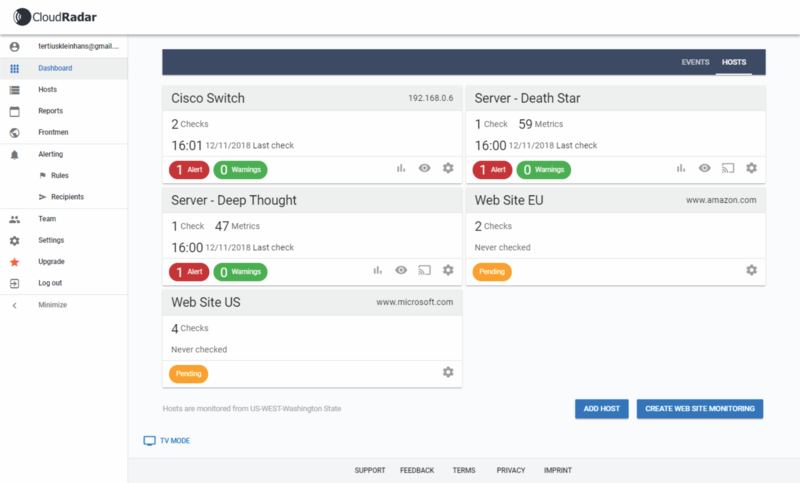 Monitor your entire infrastructure - Networks, Servers and Websites - all the critical monitoring metrics in one easy-to-use dashboard. 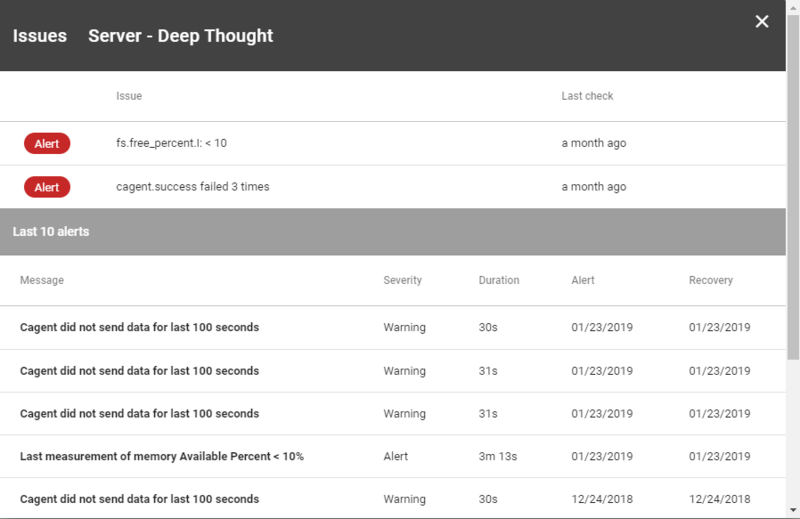 Real-time insights with customisable alert triggers and notifications. 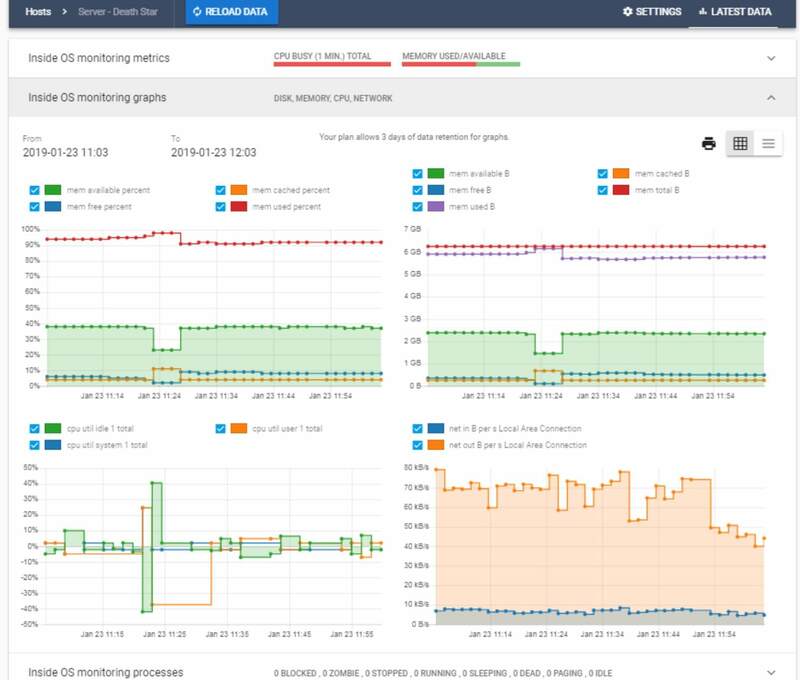 Optimize your devices and do effective capacity planning with in-depth historical data and weekly / monthly reports. Without local installation - up and running in minutes. Guided setup for servers and network devices. Best practice values for all important settings. 15 day free trial. No Credit Card required. New pay-as-you-go pricing starting at $1.20 per host/server per month.